It is with deep sadness that we announce the death of Dr Jean Donnison on January 27th, after a long period of declining health during which she bravely continued to work and publish. 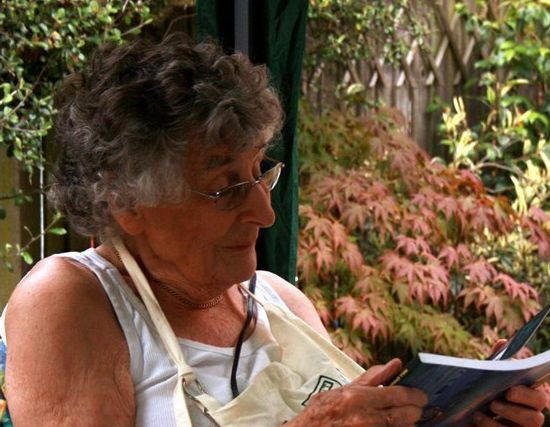 Jean will be known to many members for the significant contributions that she made to midwifery history, in particular her classic work Midwives and medical men: a history of the struggle for the control of childbirth, first published in 1977, which is still highly cited. Jean wrote a small feature for De Partu, The office of midwife – some historical background. Readers are invited to add their own tributes to Jean via the comments function. They are also invited to make a donation in her memory to Maternity Worldwide via JustGiving. Maternity Worldwide is a charity saving lives in childbirth by training midwives, providing community maternal health promotion and improving access to health. Midwives and Medical Men was one of the first English-language books I read from the beginning to the end, page by page, when I first came to England to study. I owe Dr Jean Donnison intellectually, and she was also a very approachable scholar for a junior scholar who I once was. RIP. I was very sorry to hear about the death of Jean Donnison – it feels like the end of an era. Her meticulous research and use of original sources did a great deal to give midwifery an intellectual history independent of the profession. When in my turn I went to the Royal Society of Medicine to look at the records of the Obstetrical Society of London, they provided a minder who was very keen to tell me that Jean was the only person to have used them before me, and I think they had let her leave additional notes with them, or I recognised parts – either way, she felt very close. I also think I remember a less-than-wholly-positive response to Midwives and Medical Men in the Midwives’ Chronicle, based largely on her views of the direction that she felt British midwifery was then taking – but it is thanks to her and people like her, as much as to the professionals, that midwifery still survives and prospers. She will be missed. I never met Jean, but had several long and interesting conversations with her in the context of my work in the library at the Royal College of Midwives. She made extensive use of its holdings in the course of her research, and she evidently valued the contribution, knowledge and skills and of the library staff, particularly Mary Dharmachandran. This made it a pleasure, as well as a professional challenge, to assist her. I was lectured by Dr Donnison, she was a stickler and even though I was a midwife It was her historical and social policy knowledge I benefitted from.